Hillary Clinton's chief of staff at the State Department lost a personal Blackberry that may have contained classified information, according to the Daily Caller News Foundation. "Somewhere b/w my house and the plane to nyc yesterday my personal bb got misplaced; no on [sic] is answering it thought [sic] I have called," Mills wrote from her personal email account to the address Pagliano used when he worked on Hillary Clinton’s 2008 presidential campaign. 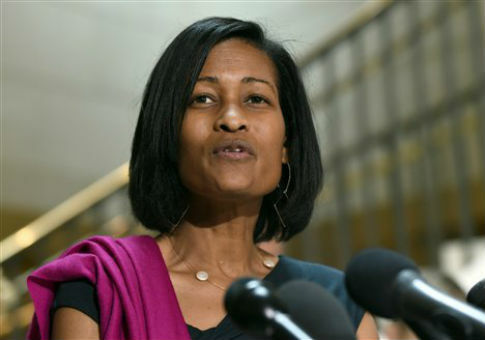 According to the Daily Caller, other documents indicated that Mills's Blackberry was linked to her personal Gmail account, which contained emails that included information that was later deemed classified. The FBI has been investigating whether classified information was mishandled over Clinton's private email server. Two former U.S. attorneys recently told the Free Beacon that they predict the FBI will make a determination in the investigation within the next couple of months. This entry was posted in Issues and tagged Hillary Clinton. Bookmark the permalink.